Today I’ll be starting my week-long Napa excursion (the itinerary of which I’d hoped to have posted today, but since all those West Coast hippies are so damn laid back, as of the time of this writing my schedule still isn’t totally finalized… if I’d been dealing with uptight, anally-retentive East Coast types I would have had this all nailed down within 15 minute intervals weeks ago). This got me thinking about Napa Cabernet, of which I plan to have tasted so much by the time I leave Napa that I will probably need emergency dental work to deal with the teeth stains as soon as I land back in Philly. 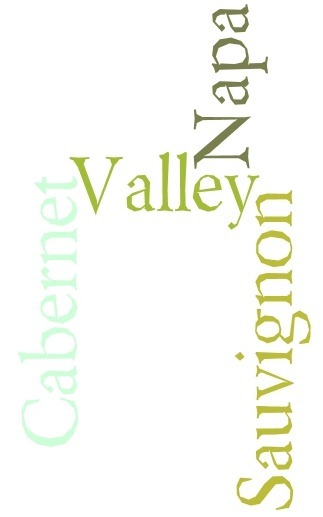 And since I’m heading out there for a writers symposium, it got me thinking about the origin of “Napa Cabernet” – not in terms of the wine, but in terms of the words. I’m a sucker for words and I own more than my fair share of dictionaries and etymological resources. I’m geeky that way. You’d think that this would be pretty easy, right? A bit of Google searching, or a trip to the handy-dandy unabridged dictionary, and we’d be all set, right? 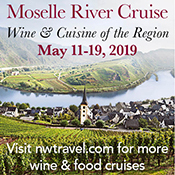 Surely there isn’t much to the origin of such words, the kind that are so nearly ubiquitous that they instantly call up various mental and sensory images for wine lovers worldwide, right? 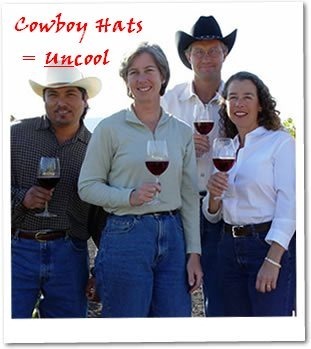 Men should not wear cowboy hats. Well, most men shouldn’t wear cowboy hats. 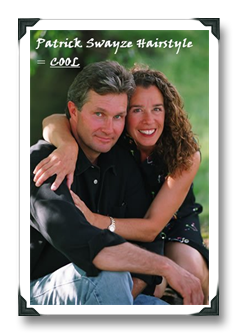 They’re not cool. 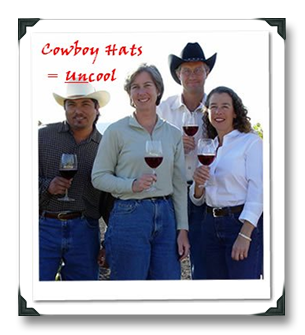 Cowboy hats look cool on approximately 0.002% of the U.S. population, and most of those are women, so sorry guys – chances are you are not in that population subset. This may be the first time that anyone has compared a high-end inaugural Napa Cabernet with a creepy video game. Probably because no one has been quite foolhardy cavalier enough to try it before, right? 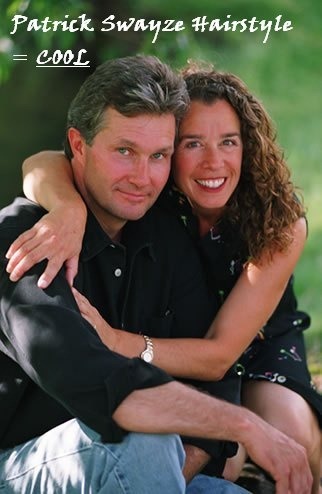 The wine in question is a sample of Wallis Family Estate’s “Little Sister” Cabernet Sauvignon, which is seeing its first release with the bottling of the 2006 vintage; only 300 cases were made. 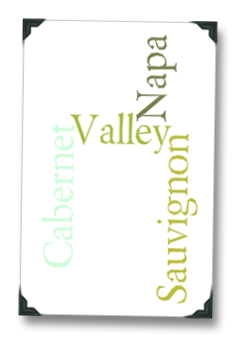 Wallis produces a (much) more expensive Diamond Mountain District Cab, hence the “Little Sister” moniker for the new release, a lower-priced (but still pretty expensive at $40) version that shares estate fruit with fruit from the wider Napa Valley. And it was the “Little Sister” moniker that got me free-associating with the creepy video game. 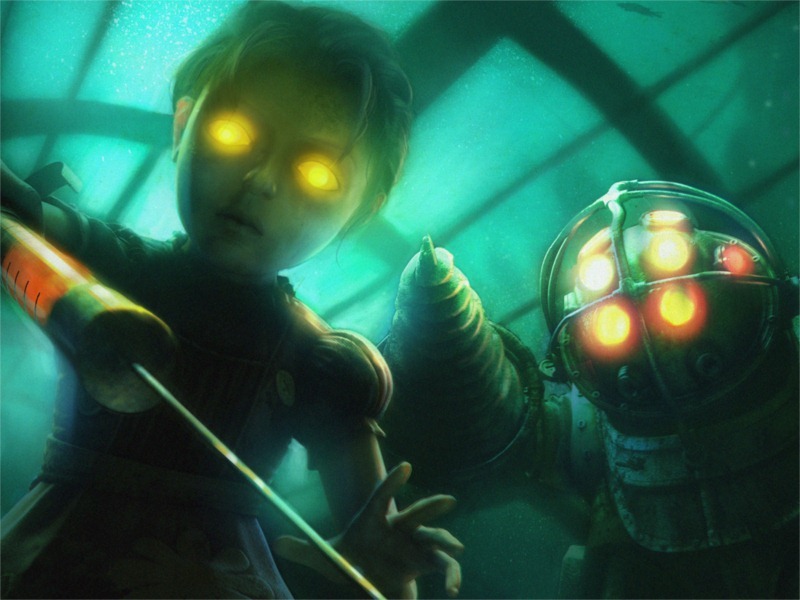 The game in question is the award-winning Bioshock, which I stopped playing because, well, it’s creepy. The game is beautifully rendered, and the play is fantastic, but… it was just so damn serious. 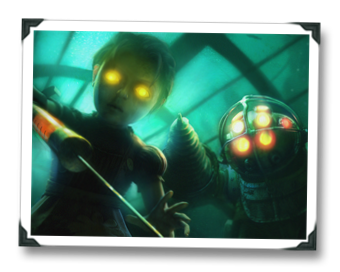 Bioshock takes place in the 1960s in an enclosed underwater world called Rapture where society has completely broken down. The survivors of Rapture are genetically-enhanced, murderous psychopaths who are addicted to the substances that allow them to control their genetic powers. Spooky school-aged girls called (wait for it…) Little Sisters (with sea slugs embedded in their stomachs – yeah, I know, just go with it) roam the halls of the underwater world, protected by huge, explosives-tossing zombies in antique dive suits, wielding large needles which they (this is the Little Sisters now, not the huge dive suit guys) use to extract the genetic super-substance from any dead psychopaths they come across. Whew. I told you it was creepy! 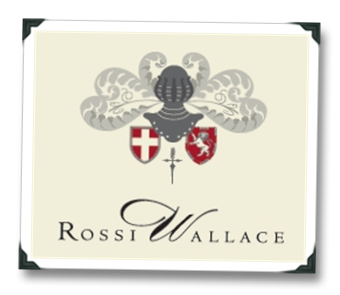 I should just cut to the chase and tell you that the first releases from Rossi-Wallace border on beguiling, and that you should buy them now if you can, especially given their limited production. But that’s just downright boring, right? So, I feel obligated to kind of, you know, spruce it all up a bit. I suppose that’s a sad commentary of just how behind I am in tasting samples. 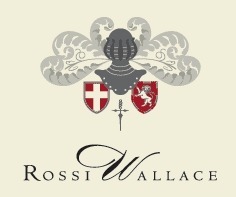 A sadder commentary still is that I wasn’t already familiar with Rossi-Wallace’s winemaking team, despite the fact that Ric Forman and Cheryl Emmolo have been involved in Napa wine in some way/shape/form for 40+ years. Clearly, their time and experience have been very, very well-spent. Rossi-Wallace’s namesake is a clever combination of the names of Forman’s and Emmolo’s red-headed mothers – just so you don’t confuse this post’s Carrot-top-reference in the title (we’re NOT talking about the comedian who seems hell-bent on trying to become a Thundercats’ Liono look-alike wearing a tuxedo).